So, I'm just a couple months away from production and need to start on my label design. Did you guys do for your first label design? I've got some ideas and have seen what's required on the label, but don't really know where to start for the design. I would highly recommend going to a creative agency for your label design. It's typically not cheap however, your label is the #1 thing that will get a random customer to buy your bottle over someone else's. If everything else in your business plan is done well, the money spent will pay for itself many many times over. We used Shinebox Creative in Minneapolis http://shinebox.com/ (our branding will be the first thing you see. Disclaimer: We are not affiliated with then in any way, we're just a customer they get to have a lot of fun with). Take a look at a couple big brand bottles and take note of the similarities. Beyond that, read the regulation on label. It's very basic, but there's some do's and don'ts that you want to be sure you get right. Design contest dot com. Used it for our logo and first label. Let's you get a lot of different artists for a reasonable price. We used design crowd. It took 2-3 contests to pick the design we liked, but cost wise it was money well spent. It is an online contest to design the label. We set the contest at $250 and got 5-10 labels in each contest. message me. We found a designer that works for a major firm out of NYC that does freelance work as well. He was a FRACTION of what these design firms cost. We have a Designer Directory on our web-page that you may be interested in. 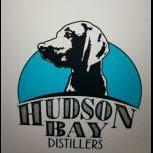 These designers are not affiliated with us in anyway, but they have routinely come highly recommended by our customers, many of them Craft Distilleries. We always recommend reaching out to several sources to see which is the best fit. does anyone use there own printer . If you want a reliable label design for your product, then you should hire a professional Branding or Graphic Design company to design the label. Before reaching a designer company, set yourself a goal on how should be your label should look like and basic design requirements you need. And then check with leading design companies with your budget in label design. Lien Design is on such designing company in San Diego, CA; which offers best packaging label design for any kind of product. you can contact them or visit their website to have free no obligation Estimation for your design requirements. We've recently investigated this for short "single barrel" runs. 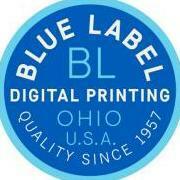 Per label price quote for full color is about $.003 / square inch for ink only. You do have the ability to print onto blank, die cut labels. You're looking at about $3k for a printer. If you use an auto-applicator you'd need to either re-config your printer or re-roll the printed labels. We didn't care for the label stock either -- look & feel like what you'd find on a jar of preserves at the local farmer market -- either too shiny or too matte. We never got to the point of durability testing. For us, at least, it just wasn't worth the hassle. Our current label printer, @BlueLabelDigitalPrinting will do very short runs for a min investment of about $200 or a bit under a buck a label. Expensive? Yes, but when factoring in all the faffing around required to print in-house it makes the investment seem more worthwhile. irene@allamericanlabel.net I will send her portfolio of work. I am also happy to send you samples of a variety of materials. With foils, embossing our specialty we can help you design in a way you can have high end looking labels and only pay for tooling one time. 99designs.com. Then get a real designer to take to the finish line for the printer working on an hourly basis.